This certification level is intended for project managers who want to obtain confirmation of their knowledge of international project management. In the examination, candidates have to demonstrate their knowledge in competence elements as “Projects in a globalised world”, “Phases in an international project”, “Management of an international project”, “Communication culture in international projects”, or “Cultural dimensions and their impact on the project”. The knowledge questions are based on the content of the International PM Guide 2.0. Proof of experience does not have to be provided, though international project experience is an advantage in the certification examination. Anyone wishing to obtain "Certified International Project Manager (IAPM)" certification has to already have Certified Project Manager (IAPM), Certified Senior Project Manager (IAPM), Certified Agile Project Manager (IAPM) or Certified Senior Agile Project Manager (IAPM) certification. You have to already have one of our certifications ("Certified Junior Project Manager (IAPM)" and "Certified Junior Agile Project Manager (IAPM)" don’t count) or an equivalent certification from another project management organisation that we have recognized. You can test yourself (20 questions in 15 minutes) at any time to find out whether you still have any knowledge deficits. This test also provides you with an idea of the kind of questions and level of difficulty you will encounter in the certification examination. The selftest can only be done once. 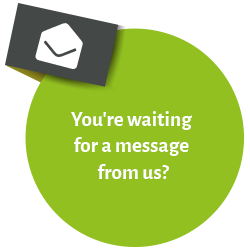 When payment has been received, you will be sent an e-mail with your login data for the IAPM certification system so that you can take your examination. The login data are valid for six months after you receive them. The certificate provides you with life-long proof of your theoretical knowledge of international project management. It is an advantage in job application processes and can give your career a boost. What does the "Certified International Project Manager (IAPM)" certification cost? Who is "Certified International Project Manager (IAPM)" certification geared to? 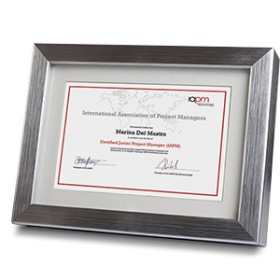 "Certified International Project Manager (IAPM)" certification is for people who want to effectively manage and implement international projects. The certificate is proof of theoretical international project management knowledge. Anyone wishing to obtain "Certified International Project Manager (IAPM)" certification has to already have Certified Project Manager (IAPM), Certified Agile Project Manager (IAPM), Certified Senior Project Manager (IAPM) or Certified Senior Agile Project Manager (IAPM) certification. There is no need to furnish proof of practical experience when you register for certification. What are the advantages of "Certified International Project Manager (IAPM)" certification for me? "Certified International Project Manager (IAPM)" certification confirms your theoretical international project management knowledge, which includes knowledge on both soft skills and hard facts. Certification can tip the balance in your favour when you're looking for a new job or changing careers. It demonstrates your knowledge in project management, which sets you apart from your rivals. As an IAPM certificate holder, you will also receive regular invitations to regional Network Meetings where you can meet other project managers and listen to interesting presentations. The selftest (20 questions within 15 minutes) reveals any gaps in your knowledge. It gives you an idea of what the certification examination is like and allows you to check your knowledge level. When you have completed the selftest you will receive an e-mail with information about your knowledge level and recommendations. The selftest can only be done once. If you don’t want to attend a workshop, you can also study for the examination yourself. The International PM Guide 2.0 provides you with an overview of the topics covered in the certification examination. How extensive is the "Certified International Project Manager (IAPM)" certification examination? The certification examination has 80 questions and the candidate has to answer at least 65% of them correctly to pass. The time allowed is 60 minutes. You receive your examination results by e-mail. You’re very welcome to contact us if you would like us to answer any further questions about "Certified International Project Manager (IAPM)" certification.